1. Updating my blog regularly. 2. Taking the time to stop, reflect and relax. So I’m seeing it as a self-care thing and an excuse to force myself into at least weekly blogging, although I’m determined to do more. The amount of unfinished blog posts on my computer is ludicrous! So here we go, and as it turns out self-care was much needed this week! 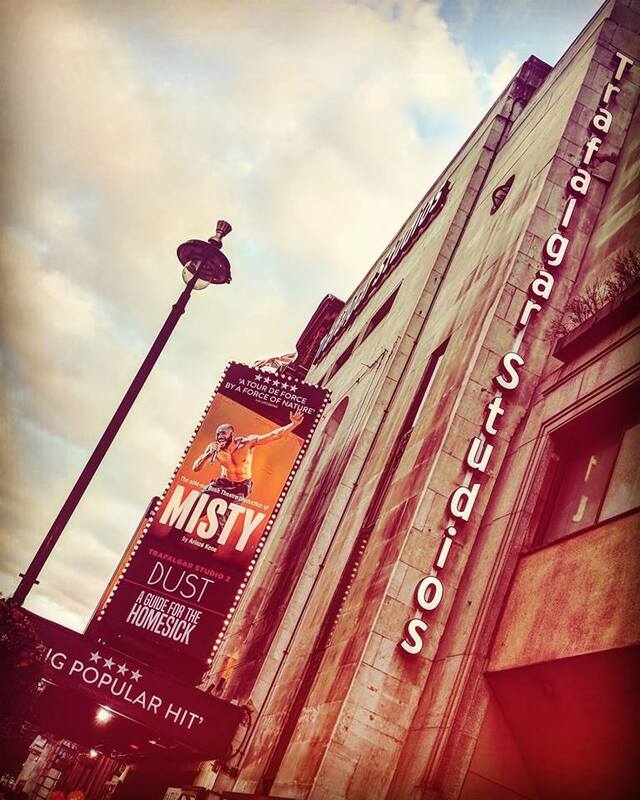 I was so excited to go along to the press night for Misty in London’s West End, especially after the awful start to the week (which I’ll come on to). My boyfriend is involved in the show so I was eager to see what he’s been working on, and be the super proud girlfriend that I am. Misty is an outstanding piece of theatre, written and performed by Arinzé Kene. It’s a hard one to describe but I’d recommend it to anyone – it’s bold, fresh and unique… stupidly cliche words for something so different but I’ll stick with them because they’re all true. If you want to shake up the standard theatre trip, this is the one you need to see! It deserves all the praise it’s been getting. I admit, as much as I had fun, the night wasn’t all plain sailing. The party was really busy and my cleithrophobia kicked in. I felt guilty running away from it and sitting on the top floor of the bar all night that was much quieter and not a bit cramped. It was a small setback really (I wasn’t the only one who sat up there away from the noise and crush) but it played on my mind all night. It does make you feel like a failure when you don’t stand up to your fears, and I felt even more guilty as it was my boyfriend’s big night. He spent the rest of the night trying to cheer me up, which of course he did. It was one of the first times we properly saw each other that week now he’s back working evenings. Having a boyfriend in the theatre industry can be pretty tough but it makes our time together more special when we do get it. Sundays are sacred for this reason! I even debated starting a new blog series this week with top Sunday theatre dating tips… watch this space! The press night was my only proper night out this week thanks to a dodgy stomach bug that I seemingly caught last weekend. I’ve barely been keeping food down (I love eating so that was tragic enough) and it took a whole week to pass. I hate being ill. I think it stems from the fact I used to hate doing nothing and being at home. I’m also someone who thinks the worst, never helping my hospital fears! But actually the illness was a weird blessing in disguise. I cancelled just about everything and had loads of nights in, which turned out to be the best self-care I could have asked for. I tidied my room, did some blog work and generally relaxed which I never do. It’s funny that my self-care this week was realised just about the same time as my Blurt Foundation subscription box came through. I love these things – they’re all about self-care and mental wellbeing and they often stop me in my tracks and make me have some ‘me-time’. They are also named after various puns each month. I love a pun! This month they dropped some awesome self-care idea cards into the box. I can’t wait to try them out! I’m going to make more of an effort to set time aside for self-care. It’s worked wonders this week when I was feeling low and ill. Bring on more Buddy Boxes!